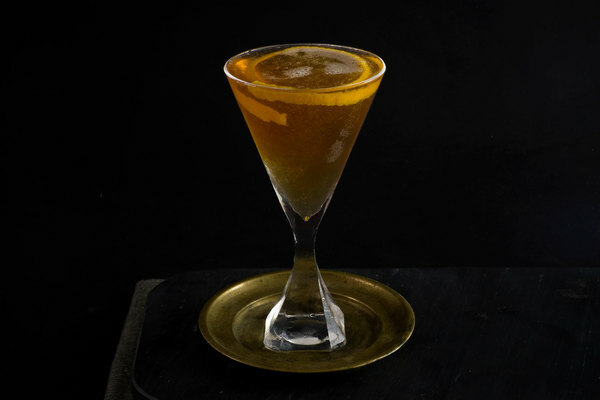 The Long Hello was created by Damon Boelte while working as the bar director at Prime Meats in New York. The name references an obscure prog-rock album from the 1970s. 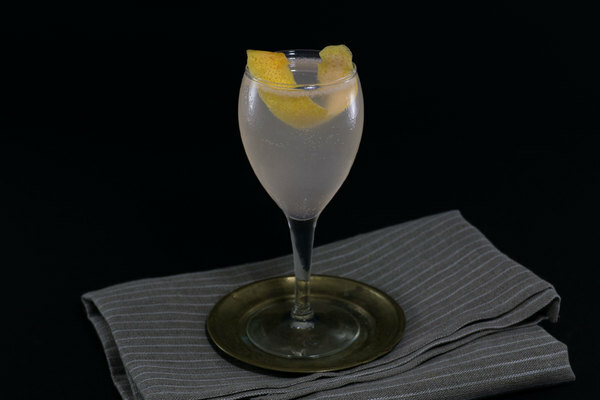 This bubbly drink is an adventurous twist on the classic Champagne Cocktail. It's a crisp and brunchy winter toaster: perfect for seasonal celebrations, or just polishing off a bottle of dry sparkling wine. This drink is delicate, floral and indulgently fruity. It’s crisp and apple-centric, with a big splash of wine and elderflower on the finish. Nutmeg and charred bitters float over scents of apple and fruit for a spicy, wintry bouquet. 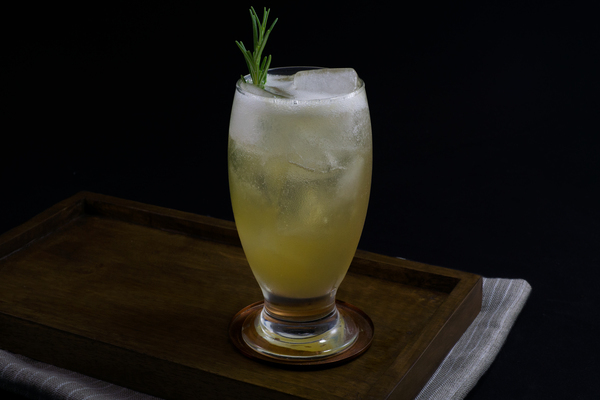 Elderflower and apple brandy combine beautifully, and the elderflower really shines in the drink, overcoming its tendency to act as a simple sweetener. 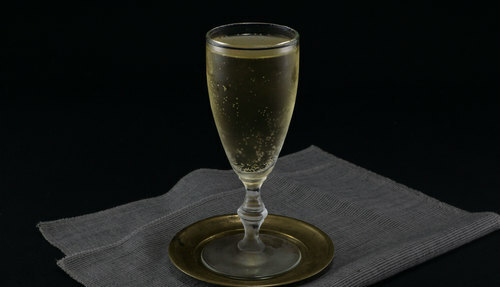 The crispness of sparkling wine balances the syrupiness of the liqueur. Nutmeg is surprisingly complimentary to the other ingredients—it makes us think the spice should branch outside of its traditional creamy realm. The garnish almost looks like little flecks of gold floating atop the Champagne. The original recipe calls for a whiskey barrel aged bitter, but we used some homemade cedar bitters to great effect. Anything woody and charred will work well. An enterprising bartender might try mixing it with pear brandy. Use a dry to very dry wine here. If you must use a sweeter sparkling, cut down on the amount of elderflower liqueur. We have used several different styles of elderflower liqueur, and find all of them to be just fine. The amount of nutmeg added to this drink can vary. A pinch is a good start, though we’ve accidentally put too much in several, and never regretted it. Avoid exceeding three ounces of wine here, lest you and your company wind up drinking weird sparkling wine rather than mixed drinks.